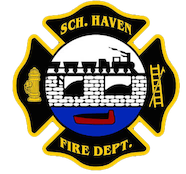 November 23,2008- At 12:04 Station 2 was dispatched to the area of 122 South Margaretta Street, Schuylkill Haven Boro, for a reported explosion in the area. Chief 722 (Sattizahn) asked to have Station 2 dispatched for their T.I.C. (thermal imaging camera) to investigate inside the Alpha Mills Warehouse. After about 15-20 minutes, they found it was an outside utility problem, and Chief Satty cleared all on scene. November 18, 2008- At 16:18 Station 1 was dispatched for Rescue 727 to assist District 34 (Friedensburg and Summit Station) as well as 2 Rescue companies from Berks County on a motor vehicle accident with entrapment near the Schuylkill/Berks County line. As District 34 command arrived on scene they noticed the heavy entrapment and decided to roll the Rescue out of Schuylkill Haven right away. It took only a matter of minutes, even in poor road conditions for BOTH COUNTIES to work together and get the patients extricated. November 16, 2008- At 10:09 Stations 2 & 4 were dispatched to the area of 585 Berne Drive, South Manheim Twp, for a vehicle leaking fluids from the result of a minor MVA. Engines 732, and 737 responded as well as Duty Chief 720 (Peel). They all arrived on scene to see a single car accident with the vehicle into a utility pole. Crews from the engines cleaned up the debris and fluids down and stood by until PSP Schuylkill Haven showed, and were placed available in about a half hour.